If there ever was a profession that could be deemed a calling, Farmer would be it. Richard and Cindy Chiechi have been growing kiwis since 1986, but their connection to growing food started way before that. Richard grew up on an orchard in San Jose, when Silicon Valley was still known as the Valley of Heart’s Delight. His family grew apricots and cherries. When land taxes became too high for Richard’s family to make the farm financially viable, they sold their land and moved up north near Live Oak, CA and started a prune farm. They grew prunes for drying. Richard worked on the farm all through high school. His official profession after high school was police officer, but as many farmers do, he spent the rest of his time on the family prune farm. Full-time employment with the police force and helping keep the family farm going kept Richard very busy, but not too busy to fall in love and start a family of his own with Cindy, recently retired from a career with Bank of America. When his parents became too old to farm, Richard and Cindy took over the farm full time, along with their full-time jobs, and a growing family of two sons and a daughter. The Chiechi’s found that farming prunes was just not their passion. The labor required to maintain the orchard and all the work required to dry the prunes was too much for them to handle. They sold their farm and sought out a new home for their family. They found a pretty piece of land with a charming red barn that they fell in love with. The land happened to have some kiwi vines on the property. Though it wasn’t their intent to farm them when they bought the land, they just couldn’t help themselves. Growing kiwis, it turns out, is a Cheichi passion and a labor of love. Though the prune farm was a conventional operation, they started the kiwis off organic from the get go. 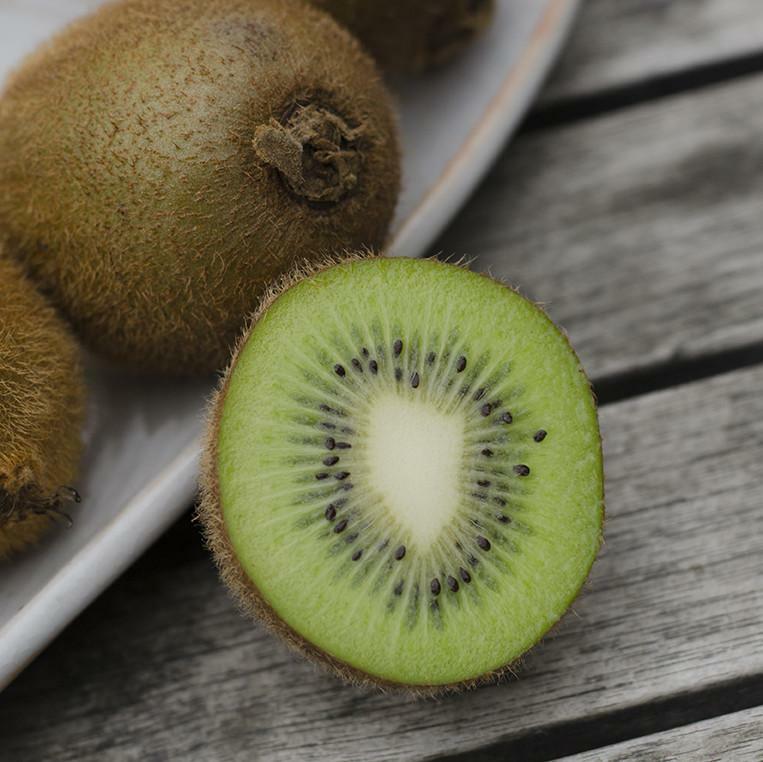 The Cheichi’s found that organically grown kiwis have higher sugar content and a sweeter flavor as they ripen and soften. It also made it easy for their young sons to help with thinning and hoeing under the vines. Today their children are all grown and have families of their own. Cindy tells me that she and Richard should be retiring from farm life, but that the beauty of the vines, spring in the orchard, and the feeling of being outside in nature while working will keep them from calling it quits. We hope you have been enjoying Richard and Cindy’s kiwis as much as we have.